Chris, this is the best list of all time. I am referring people from my blog today and will continue to refer people until the end of time. Excellent work, very much appreciated. Very comprehensive, well written list 🙂 I read everything I can get my hands on but I also want to take some classes eventually. Will have to look around locally… and at the online courses too. Thanks Elsa! I really appreciate it. Mind if I link to this page from the Arizona Astrologers website? Sure! That would be great. Thanks Doug! Great list, Chris! I’ve walked this path myself over the last 25 years (almost!) so I can attest to the effectiveness of these steps. Of course, it takes a long time. Astrology is an incredibly complex field. The more you learn, the more you find out what you don’t know! The only thing I might add to this list is to go through a certification program by a reputable astrological organization such as NCGR or ISAR. One gets a huge sense of accomplishment by passing these tests, and they will produce a well-rounded astrologer because you’re forced to study things you might otherwise pass over. Plus I think they are good for the profession. Another word about local groups, too. A lot of major cities have them these days. I myself am founder and president of the San Francisco Astrological Society so I speak from lots of experience here. Local groups are a great way to meet other astrologers in your area and socialize with folks of a like mind who understand the lingo. So many astrologers are really isolated and I’m sure some prefer it that way. But most of us benefit from meeting together and talking shop. So if you live in a city that has a group — support it!! Become a member and go to meetings. That’s what keeps these organizations afloat. Many, many for a great list and set of resources, Chris. I commend you. I second Linea’s comment. People don’t realize how many years it takes to become a good astrologer. I’d allow at least three years to get through these ten tips, and that’s if you’re very smart and immerse yourself in it completely. My road was unconventional (I’m an Aquarius!) and, I always thought, a shortcut, since I studied for “only” 10 years before I started doing private consultations. Most of the astrologers I know have been in the field twice as long as I have. I entered my data at Astro.com and stated that my moon sign is Cancer. 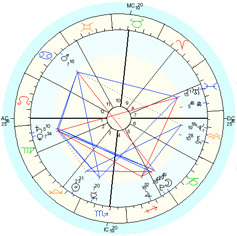 In other charts, however, my moon sign always comes up as Gemini – any thoughts? i want to teach abt astrology in my life cycle. what can ido for known about my palm in my hand,fingers, nails,hasth rekha. lol, it’s quite funny reading this article, astrology is so different from astrophysics. These heavenly theories are just path to escape the ultimate truth and reality. I wonder why so many people take these things so seriously, not to mention ‘most’ do believe they are ‘real’. but the problem is: Heavens are indeed impalpable and if they ever exist there is liitle hope of ever seeing one, so if we cant test the way we test normal theories, then it’s not science or reality, it’s philosophy. I’d hope ppl put more effort on”science” not some insipid dreams. And here is my comment on this rather intriguing article. Thanks for lot of valuable information about astrology. I realize you can’t mention all the correspondence courses out there, but just want to say that mine (Exploring Astrology) has attracted students all over the world for the last 15 years. Those of my students who have gone on to take the national organizations’ certification exams have done very well. I love conversing with astrologers. Thank you for creating this list. This will be very useful to me. I feel like I have a road map now! Thank you for writing such an enlightening article. I myself am just getting into astrology and reading something such as this is invaluable to my ongoing education. Giving knowledg to one is a great job.Here you gave to mankind….! Thank you for this excellent article on Astrology Basics. It is great to have an informative place to refer to when talking Astrology to beginners. My astrology learning began in 1986/87 and it always excites me to find such a wonderful site – recommended by Astrologers I respect & displaying such a high level of professionalism. Well Done! This is a fantastic introduction to learning real astrology, dig in…. This is such a fantastic resource for someone like me who has wanted to begin to learn about real astrology for a long time but never really known the right steps to begin. Thanks very much. I’ve added this post to spiri2al.com, please stop by and vote for it if you get the chance. Hey, thanks a lot Mike! I’m from South Africa and I’m about to begin a Correspondence Course in Astrology. I was introduced to astrology by an author named Linda Goodman. Is her teachings worthwhile and valid? Linda Goodman the Sun-sign author? I always thought that some of her delineations were interesting, even though they were just based on Sun-signs. I don’t know much about her work besides that though. We all have to start somewhere, and for many people her books were an initial starting point or gateway for astrological studies, so there is nothing wrong with that as long as you eventually move passed Sun-signs. Very nice tips indeed. I have always wanted to learn astrology but so far I never had the time. For absolute beginners like me the first two points on your list are the best way to start. hey chris- great to find your site! i met you 2007 at norwac. these are wonderful tips, will be recommending this to others. 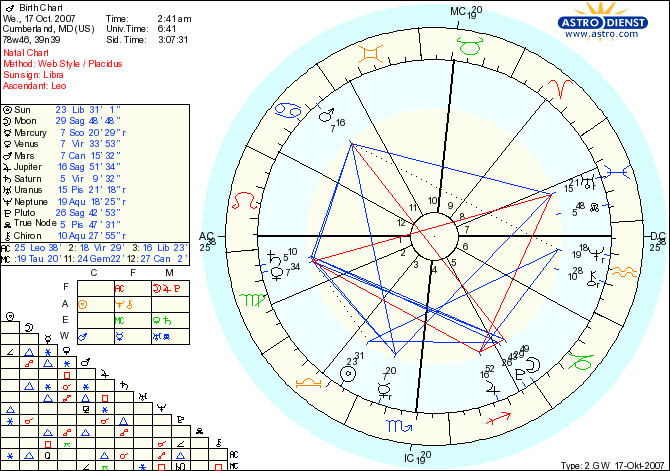 whose chart is shown in the picture? the leo ascendant degree in the chart is exactly the same as mine. is it the author’s? It is actually just an event chart that I cast on astro.com while I was writing the article. It’s unfortunate that this article begins with a swipe at Sun-sign columns. I recognize that most of them are not well done, but through history some of the very best astrology has happened in Sun-sign columns. Dane Rudhyar wrote the first one in the United States. Patric Walker did astrology that I have yet to see surpassed by anyone — Sun sign writer or not — and all he did was write astrology columns. Sun sign columns are only as good as the writer who is creating them. If the writer is a generalizer, the columns will reflect that. If the writer has insight into both astrology and human nature, the writing will reflect that. This is true of the creative products of anyone. Some ‘proper’ astrologers question the validity of writing short blurbs that people read in a newspaper. What they forget is that most people hear about astrology through newspaper columns. This is a reason for astrology to put its best writers and most skilled practitioners in this vital public relations position, instead of anyone else. For those seeking to learn astrology, interpreting daily or weekly, using one chart to come up with ideas for all 12 signs, is an excellent exercise. You will learn about some very helpful traditional practices, such as rulerships and whole sign houses. To Chris’s list of things to do to become a good astrologer, I would add, at the top of the list: write about astrology. This will provide a focusing lens so that you can figure out what you know, and then determine how to apply it. Few things will clarify the ideas in your mind like writing and sharing them with other people. To his suggestion that you read voraciously, I would add: take what you read with a grain of salt. Not every astrology book comes from a sane or soulful perspective. Some have agendas that don’t fit your agenda. Others are wildly outdated, or ignorant of the many developments of the 80s and 90s, such as Project Hindsights many discoveries, or new planetary discoveries, or for that matter, your specific chart; your particular reason for getting involved. Keep an open mind! And remember, it’s ALL astrology, no matter what form it may take. Thanks for your comments. Your point is well taken, and I think for the most part we are pretty much in agreement here. I should point out the purpose of my opening statement was not to completely reject the validity or usefulness of Sun-sign columns, but simply to distance or contrast what we might call full-fledged ‘horoscopic’ astrology from some of the more poorly written or just purely lame mainstream Sun-sign columns, some of which are not even written by actual astrologers at this point. So, I am far from being an opponent of Sun-sign astrology. However, while I recognize the validity and usefulness of this form of astrology, I do not think that anyone should be content to just stop at that point in their knowledge of astrology instead of proceeding further. Moving on to recognize and study the more advanced forms of astrology is a necessary and vital step in order to have anything more than a superficial understanding of the subject, in my opinion. Sure, some Sun-sign delineations can be rather deep and meaningful, but that is not the same thing as a full delineation of the natal chart. In some way I see this as a sort of logical progression of things, where people naturally start with some sort of familiarity with Sun-sign astrology, but then eventually they graduate to the next level, like going from preschool to grade school. At some point, if someone is seriously interested in astrology, it will be time for them to move on to the next level. While it is not necessary for them to completely denigrate and reject what they had previously learned through the Sun-sign columns, obviously they will be forced to acknowledge that there is something that is incomplete or lacking in that more simplistic approach to the subject. Hi Chris, thanks for posting my reply. A longer version is currently on Planet Waves. 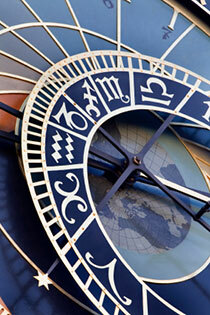 Some of the most erudite astrologers of our times are or have been Sun sign writers. Jonathan Cainer has a profound education in astrology, having been trained at the Faculty in London. Melanie Reinhart, one of the best educated astrologers alive, stood in for Patric when he was very sick with AIDS. So did Howard Sasportas. 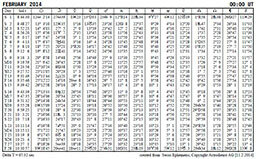 Rick Levine has is one of the most knowledgeable astrologers you will meet…and he writes Sun sign columns. 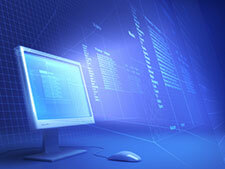 Most of us who feel a true devotion to the work have pretty deep educations. You have to know a lot to be effective at doling out advice 365 days a year. If you’re going to be good, you must have something to say. I view writing Sun signs as an essential part of an astrologer’s education. You get to boil down a lot of information into a salient statement that’s designed for other people to understand. It’s necessary to come out of jargon. And the truth is that ALL the same rules of interpretation apply. You are writing TO the Sun (sign) but FROM a position of looking at every factor you want, from several layers of rulership, to lots, to aspects, and if you’re creative you can even use progressions. It’s important to distinguish the technique from the application. Sun signs appear deceptively simple, but I think they are prime training ground and I would repeat what I said at the Blast in 2007: we need the BEST young astrologers doing this work, not the bottom feeders. I would be happy to contribute a more coherent op-ed to your site on this subject, Chris. Thanks for giving it air time. Very resourceful, thank you so much. I would like to include this in our ASNT association newsletter. That would be fine with me Mira. Thanks a lot! Would you give me permission to translate your tips and publish them on my website inclusive of your curriculum? That would be fine with me. I will send you an email with the other information you need now. Excellent article, but may I suggest updating the list of “upcoming” conferences? and not worry about it any more. Thanks for this link Jack! I had updated the conference list a couple of times since I originally wrote this article, although I haven’t been very on the ball lately, so this is a good resource for people to be aware of. excellent article and a very nice read! This is a well thought out article. All of your suggestions are absolutely correct. Like with most other things, in astrology too, practice makes perfect. Analysing your own chart or that of someone who you know well also helps in making good interpretations, as you are able to relate astrological characteristics with actual events. am also a vedic astrologer,after reading this article am totally agree what you have said. The more you read the more you learn. 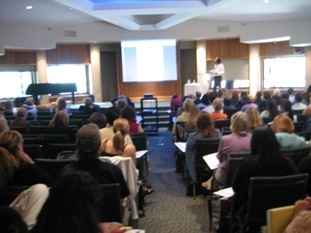 To learn a astrology best way is to join a course and make a guru. 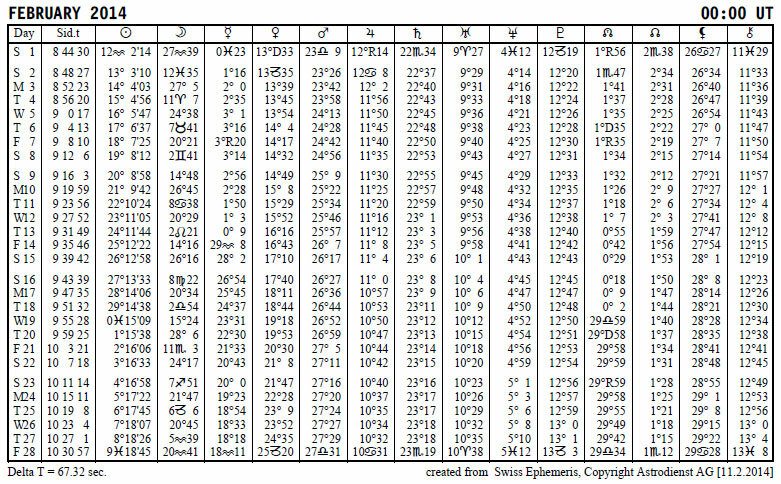 The most important thing see lots of horoscope and predict to make your prediction strong.